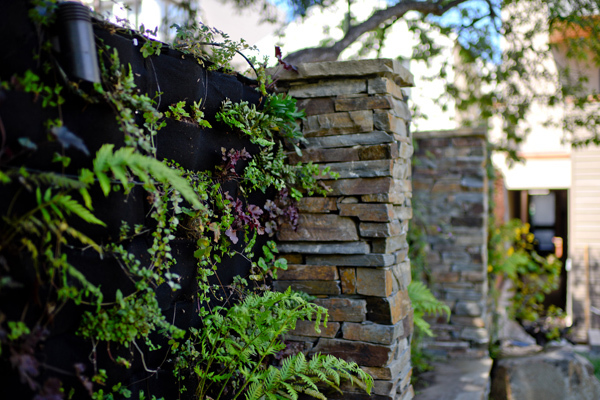 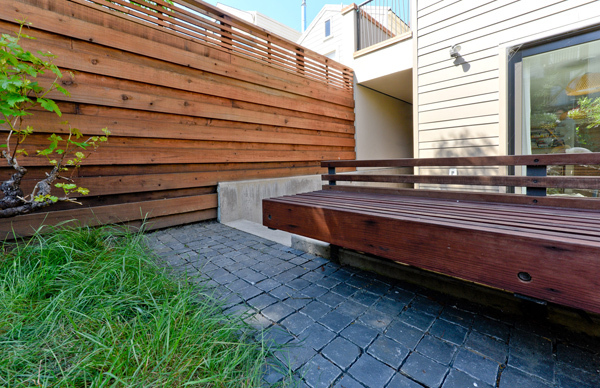 Sustainable garden for green-rated new construction in Noe Valley, San Francisco. 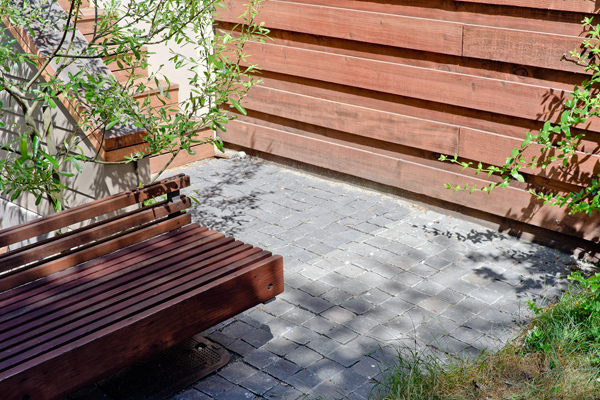 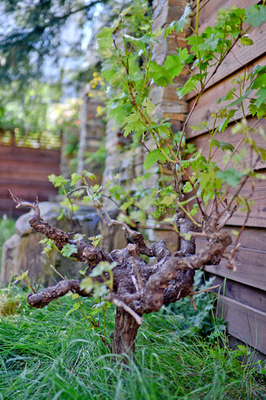 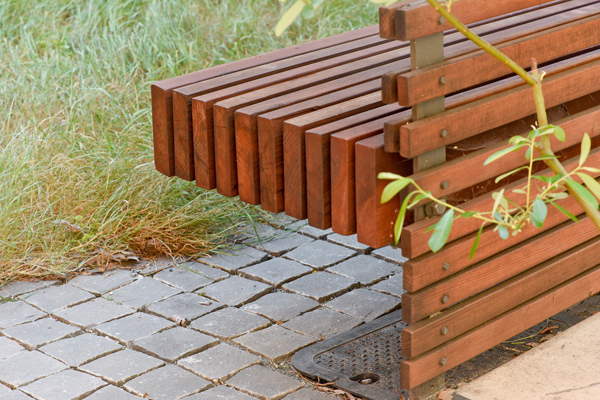 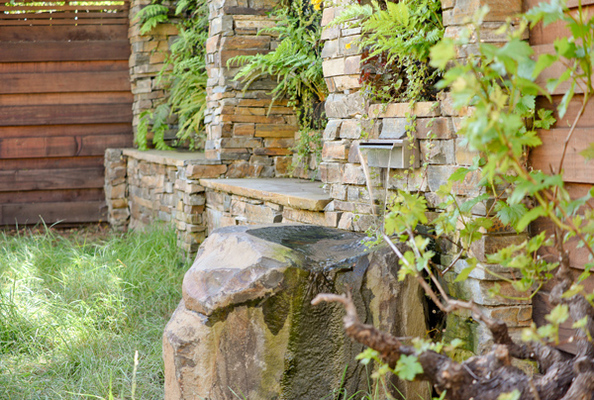 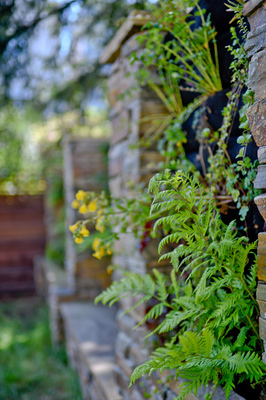 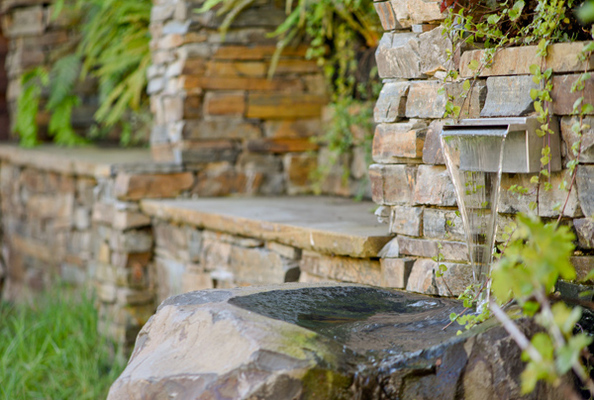 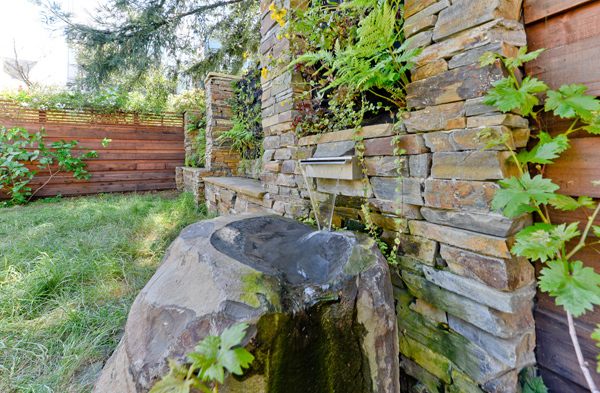 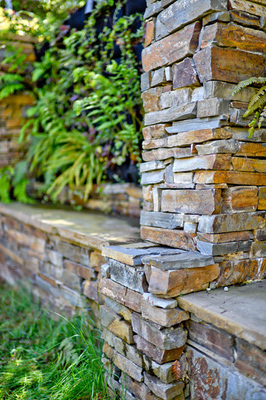 Includes greywater irrigation, a modern bench built from reclaimed redwood joists, a 50-year-old zinfandel vine salvaged from a demolished vineyard in Napa, a recirculating waterfall with basalt spill basin, and a redwood-understory green wall set between stacked-stone columns. 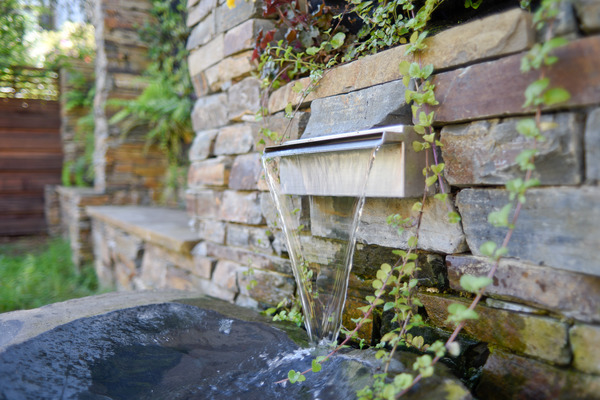 © 2015 2019 Madroño Landscape Design Studio, Inc.